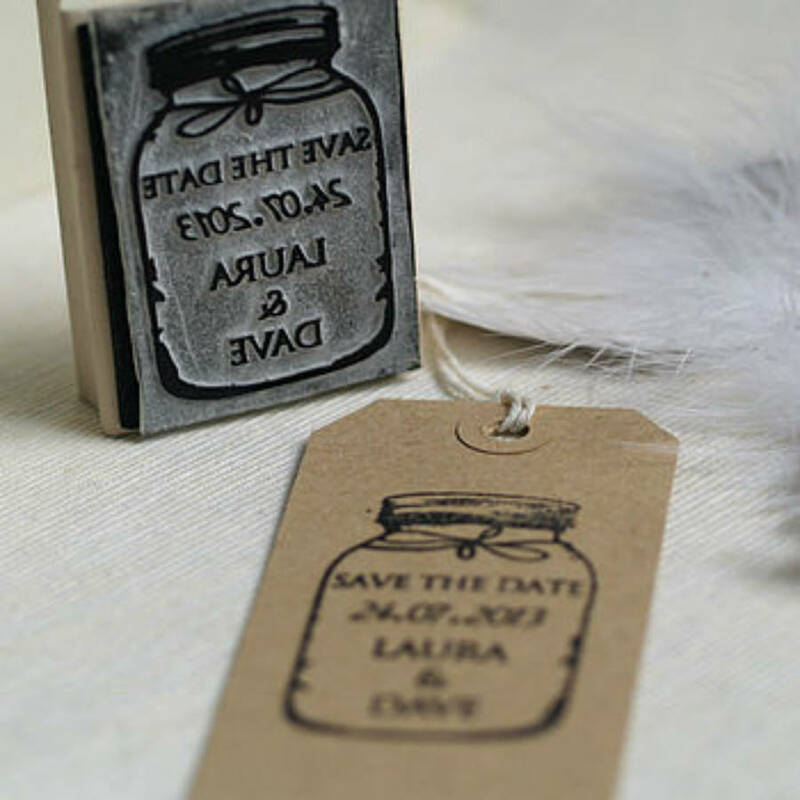 This lovely handmade personalised save the date rubber stamp features a jar illustration, filled with your names and your wedding date. 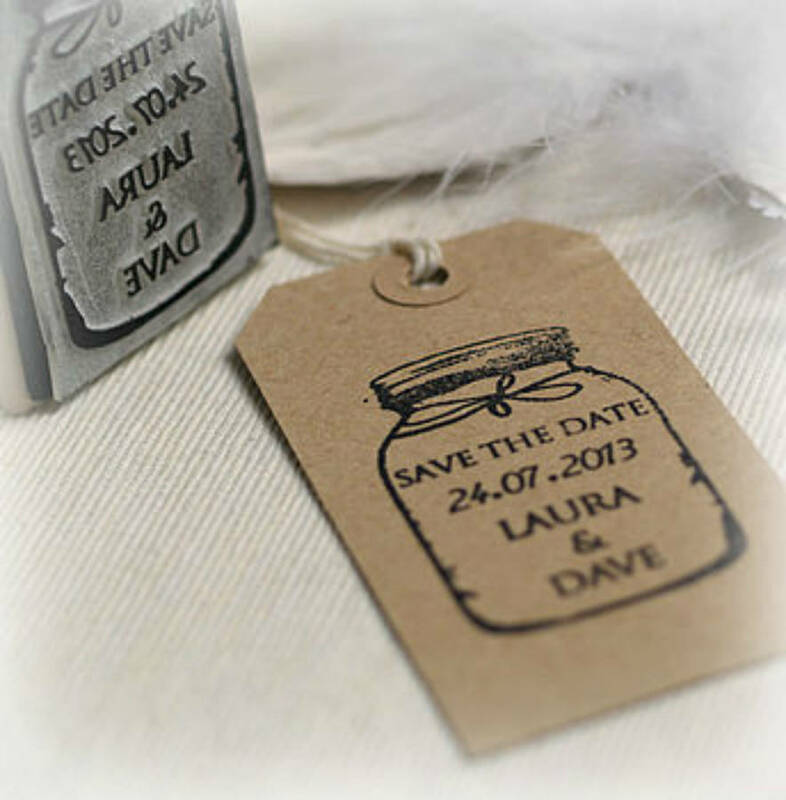 You can also choose your own title if you would like something other than 'save the date'. 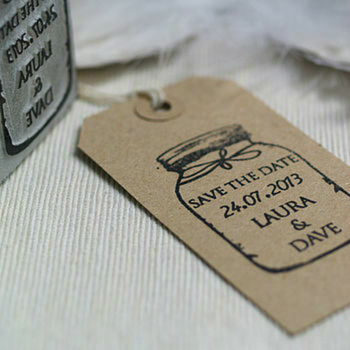 Your stamp will be made to order within one week and will be sent via Royal Mail first class. The resin is hand-cut and mounted onto a wooden block . Works with any ink pad which you can also add from the drop down menus (optional). When you first receive your new stamp we recommend trying it out on scrap paper a few times to make sure the surface is completely covered in ink. Also so you can get a feel for the amount of pressure required. 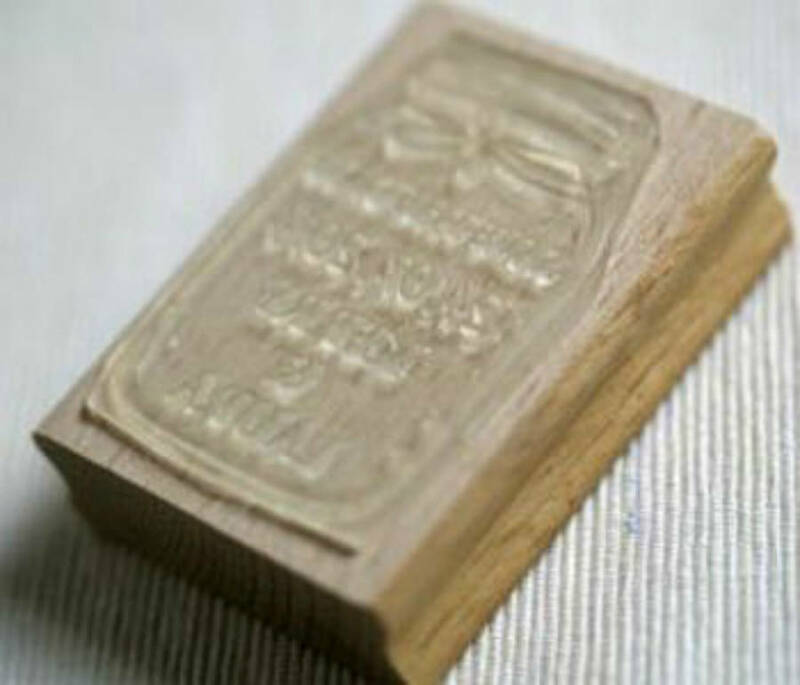 We recommend you stamp from above to get an even finish. As you lift the stamp always loosen paper/card at the same time to avoid smudging. The size of the brown manila tags is approx 10cm x 5cm, available to add to your order from the drop down menu. 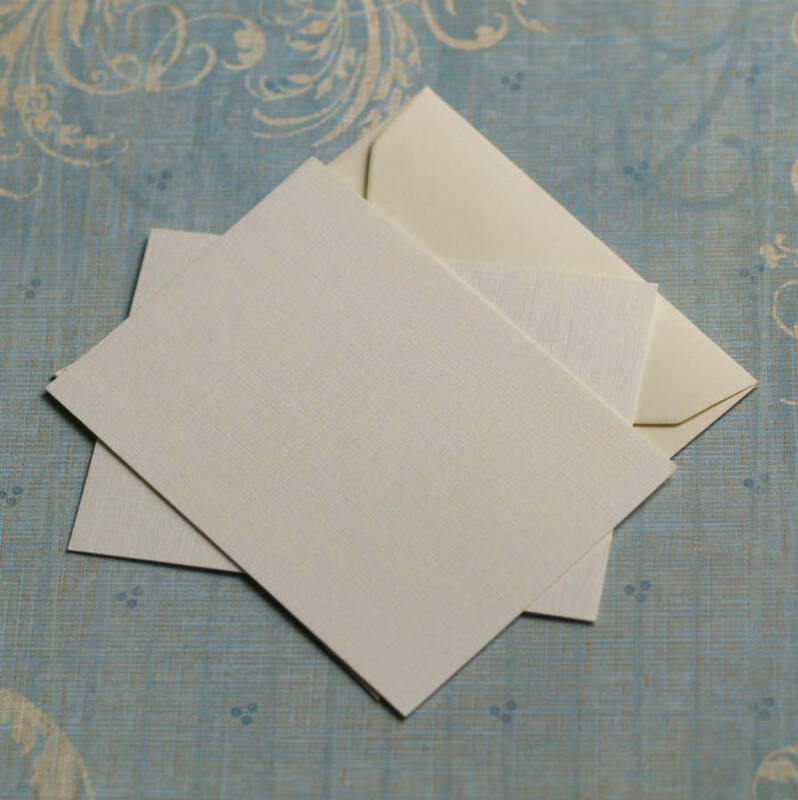 Ivory coloured textured linen effect card are also available with rounded edges A7 size (10.5cm x 7.4cm), with matching Ivory C7 gummed envelopes are also available in packs of 50 (£11.50) or 100 (£21.50) from the drop down menus. 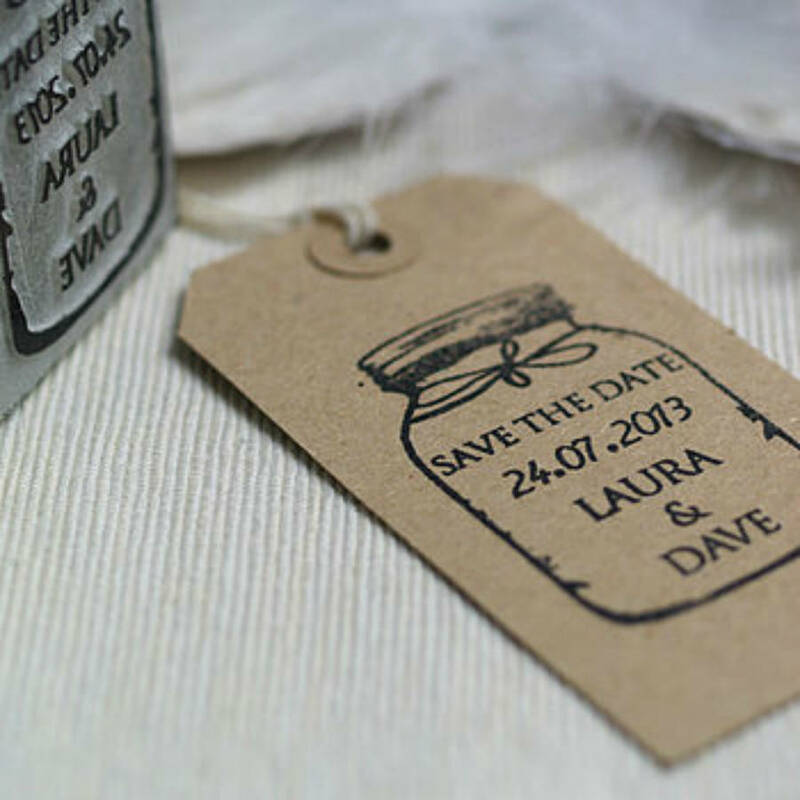 This product is dispatched to you by Pretty Rubber Stamps.